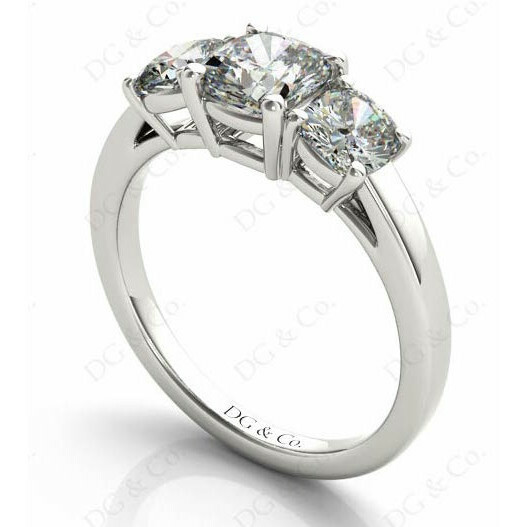 Cushion cut four claw trilogy diamond engagement ring. 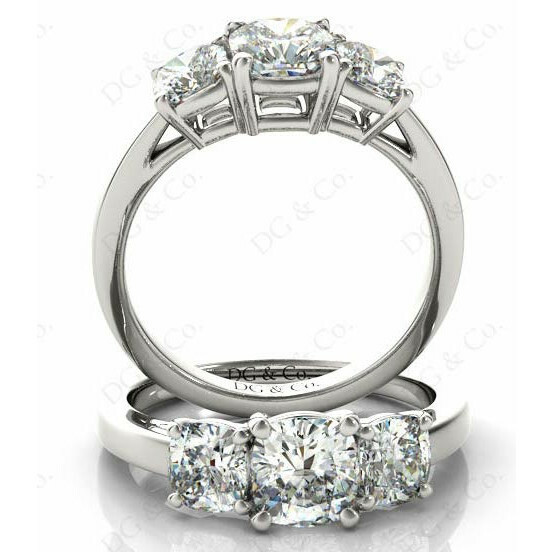 Three-stone engagement ring with three cushion cut diamonds in four claw settings with a square band. 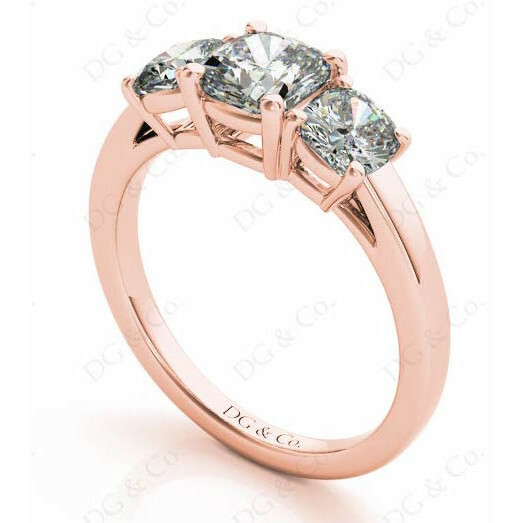 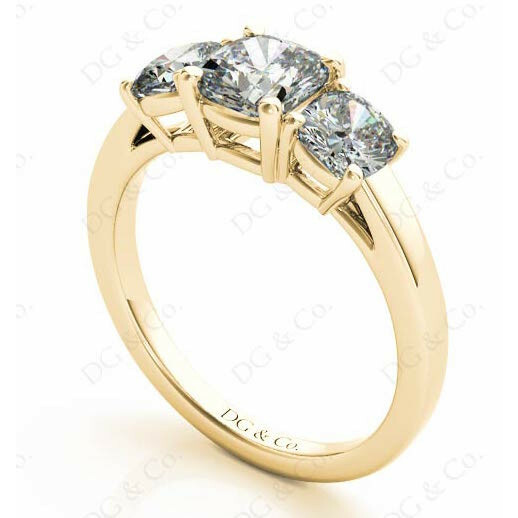 You're reviewing: Cushion cut four claw trilogy diamond engagement ring.